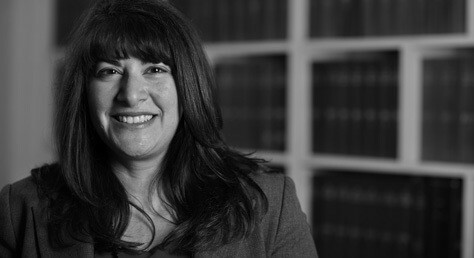 Aysen Soyer, head of the family team at Wilsons Solicitors LLP, summarises the findings of two recent decisions which clarify and explain what powers are available to deal with enforcement and variation of financial remedy orders. The first is the Court of Appeal case of Amin v Amin  EWCA Civ 1114. Here, at first instance, Moylan J adjourned the making of a pension sharing order in 2014, to see whether the husband complied with a lump sum order. He failed to do so, and the Judge ordered ‘enforcement’ by subsequently giving the wife a greater pension share. The husband appealed arguing that the Judge had wrongly sought to vary the lump sum order. The Court of Appeal disagreed; because of the way the original order was expressed, the Court did indeed have jurisdiction to make supplemental orders by way of enforcement of the previous order. It was quick to point out that this issue would not have arisen if the husband had actually paid the lump sum to the wife as was originally ordered! In the case of Birch v Birch  UKSC 53 the Supreme Court considered whether it is possible to vary an undertaking given in the context of a family settlement, and concluded that it is indeed so. This case arose from a relatively common scenario: wife provided an undertaking to use best endeavours to release husband from a joint mortgage by a certain date, otherwise the property would be sold. Before that date, when it became clear that she would not be able to secure the husband’s release, she applied to ‘vary’ her undertaking by postponing her obligation to release husband by 7 years. The husband argued that the Court had no jurisdiction to do so; claiming that her undertaking was equivalent to an order for sale, and so not variable. The Court of Appeal agreed with him. However, the Supreme Court (with Lord Hughes dissenting) clarified that jurisdiction existed to entertain such an application, and remitted the case back down for determination. They found that the lower Courts had failed to distinguish between the existence of the jurisdiction to release from an undertaking and the discretionary exercise of the jurisdiction. These two cases show that the family Court can be imaginative to ensure the right outcome is achieved; yet flexible to suit a changing circumstance.